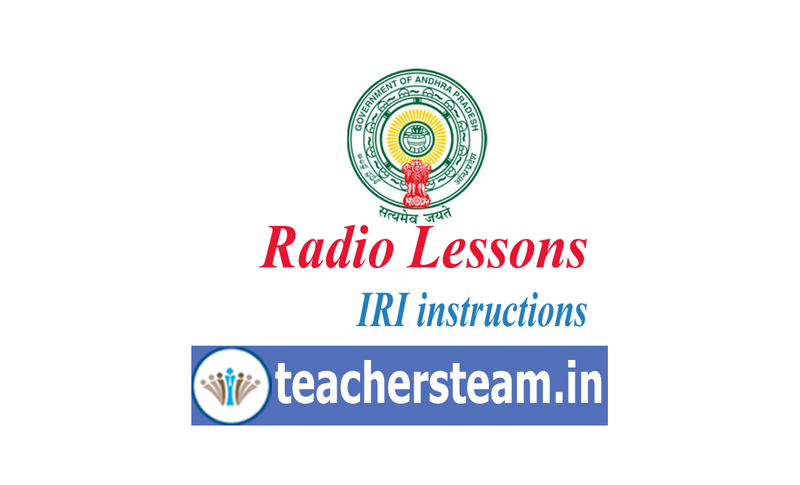 All the Project Officers are hereby informed that, the “vindam Nerchukundam” Radio Programme/ IRI Lessons for Primary classes are Scheduled to broadcast from 15.09.2018 to 31.03.2019. Download the Radio Schedule, print and supply the Radio Schedule to all the Head Masters of the Schools concerned with instruction to follow the guidelines and Schedule. Issue instructions to all the Head Masters of the schools concerned to keep the radio in working condition and make necessary arrangements for listening of the program.The Expenditure is to be met from the State SSA Budget for the year 2018-19. If the Radio is not available in the schools, it should be purchased immediately or if not in working condition may get it repaired by meeting the expenditure from the school grants. To identify two teachers in the district (one from Primary school from upper primary School) to listen and monitor the broadcasting of Radio lessons daily and submit the feedback in the Proforma to the Project Office. Inturn the Project Officer should submit the same to the State Project Director and also contact the authorities of AIR Station concerned, if any transmission problem arised (list enclosed). Issue the instructions to the Sectoral Officers/ Mandal Education Officers/CRPs/SRGs/DLMTs to observe whether the HeadMaster/ Teachers are making necessary arrangements to listen the Radio Lessons to the students, whenever they visit the schools and furnish the information in feedback Proforma to the Project Officers. Constitute the District Level teams consisting with one (1) Sectoral officer/SRG member/IRI teacher /DLMT/CRPs to visit at least (5) Primary Schools in a month to observe the implementation of Radio Programmes and obtain the feedback and submit to this office and upload in SSA Website if internet facility available.